This entry will be light on pictures, since I haven’t even finished looking through Wednesday’s shots yet. You can check flickr later for more, although there’s always a chance I”ll remember and put them here. So here’s a tip: get there early! I”m pretty sure I was there at least 40 minutes early, and I definitely wasn’t the first. 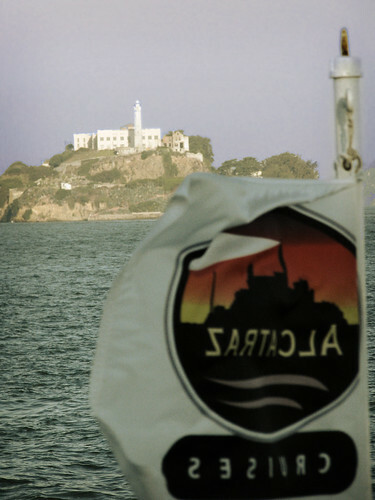 The Alcatraz tour is very interesting. 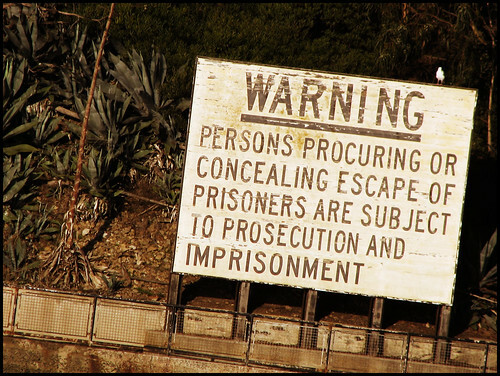 DEfinitely not creepy–there are way too many tourists for that. I still haven’t finished sorting through my pics. I took the bus to Coit Tower after the return to the mainland. I was searching for this castle that was an old restaurant apparently located on Telegraph Hill with the tower. 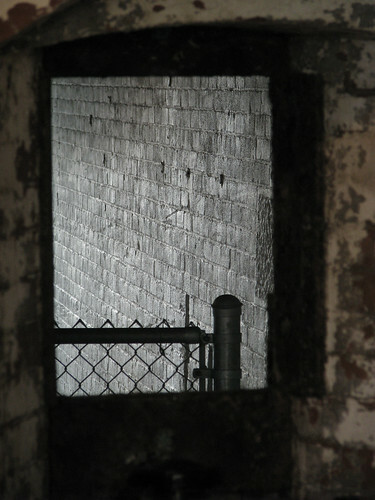 I didn’t find it, but as I was looking through my pics today I saw I had a shot of it in one of my tower pics. Oh the irony. Here’s a distance shot of Coit. I think I’m going to have to finish the entry tomorrow, so I can do the afternoon justice. Until then, adieu! Another beautiful post. Lovely pictures! 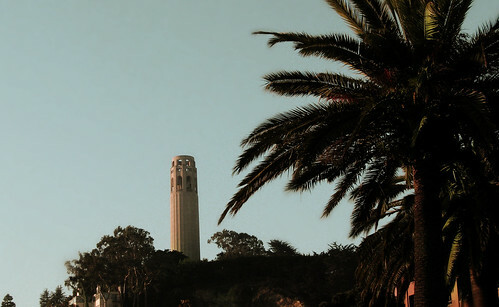 How did you find the Coit Tower? Physically, I found it by accident; I was looking for the castle-like building and google maps suggested taking the bus to Coit and walking down (which I ended up not doing for some reason). Tourist-wise, I thought it was interesting, although I believe there was some type of renovation going on, so I did not stay long.